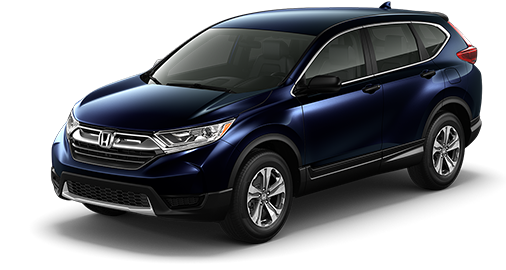 The 2018 Honda CR-V is a design that is set to raise the bar for SUVs. Step into innovation in the 2018 CR-V. Now featuring sophisticated materials like available leather-trimmed seats with driver’s seat memory. 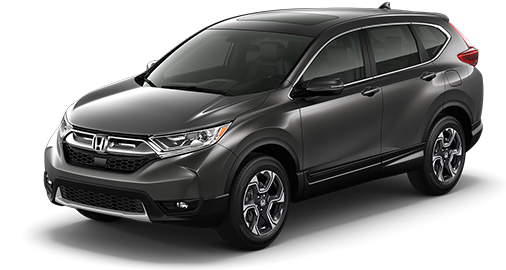 The CR-V EX and above models feature a 1.5 liter, turbocharged engine that makes every drive more exciting, whether you’re navigating through traffic or country roads. Looking for more hands-free options? 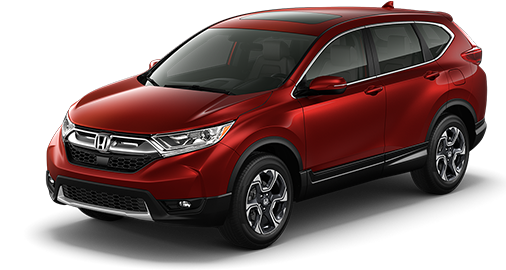 The 2018 CR-V automatically opens or closes the tailgate with the push of a button (standard on EX-L and Touring). And latest in mobile connectivity allows you to access several of your smartphone features on the 7-inch display audio touch-screen (EX trim and above). 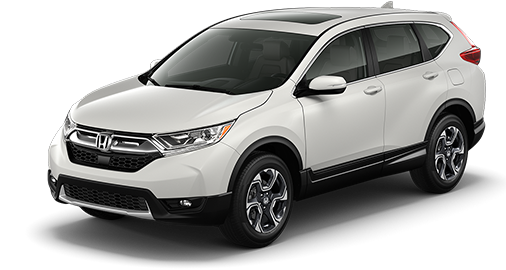 This new CR-V is your capable and connected SUV. 190 hp @ 5600 rpm (SAE net). MSRP excluding tax, license, registration, $995 destination charge and options. Dealers set their own prices. 184 hp @ 6400 rpm (SAE net). The system is not a substitute for your own visual assessment before changing lanes. BSI may not detect all objects behind or to the side of a vehicle and may not detect a given object; system accuracy will vary based on weather, size of object, and speed. Driver remains responsible for safely operating vehicle and avoiding collisions. Always visually confirm that it is safe to drive before backing up, as the rearview camera and cross traffic monitor may not provide complete information about conditions at the rear of your vehicle. Monitor cannot detect all objects behind or to the side of a vehicle and may not detect a given object; system accuracy will vary based on weather, size of object, and speed. Driver remains responsible for safely operating vehicle and avoiding collisions. Compatible with select phones with Bluetooth.® Your wireless carrier's rate plans apply. State or local laws may limit use of texting feature. Only use texting feature when conditions allow you to do so safely. The USB Audio Interface is used for direct connection to and control of some current digital audio players and other USB devices that contain MP3, WMA or AAC music files. Some USB devices with security software and digital rights-protected files may not work. Please see your Honda dealer for details. HD RadioTM is a proprietary trademark of iBiquity Digital Corporation.